Corporate actions can be a complex process. Smart functionality is required to satisfy such complexity. iActs™ is smart. It is also very user friendly. We feel this is just as important, but often overlooked. Usability is one of our core design principles. Providing exceptional functionality alone just isn’t enough. Functionality must be aligned with usability. We pride ourselves on our ability to deliver applications that provide a first rate user experience, and believe iActs™ is evidence of this. iActs™ Corporate Actions has been designed to significantly improve the processing of corporate actions. iActs™ reduces the inherent risk of error that can lead to financial loss, lowers the cost of processing and improves the level of service both internally and with your external counterparts. As a recently developed application built for the digital age it makes best use of today’s technologies, will appear familiar to all, and has been designed with usability at its core. It may be the first corporate action application to have successfully engaged with Front and Middle offices of the buy-side community, and through that engagement is transforming the corporate actions landscape. 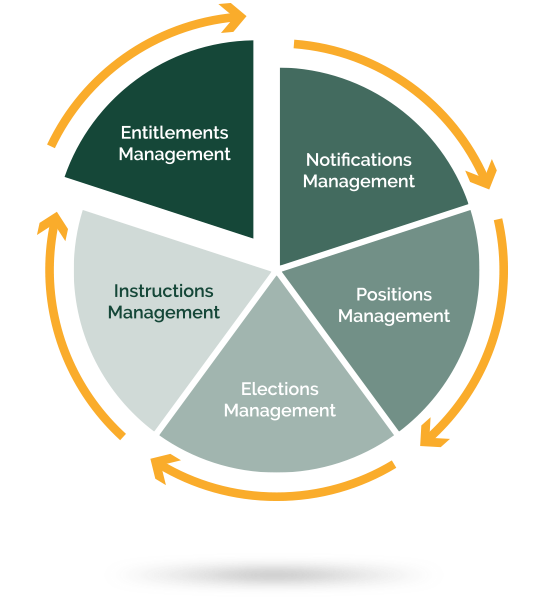 Simplifying the complicated, through advanced design, iActs™ Notifications Management serves to deliver a Master Record for each individual corporate action based upon the announcement notifications received. It does this through a combination of processing rules that govern how a Master Record is to be derived, ultimately presenting the user with an established record of truth that can be used to drive subsequent processes. 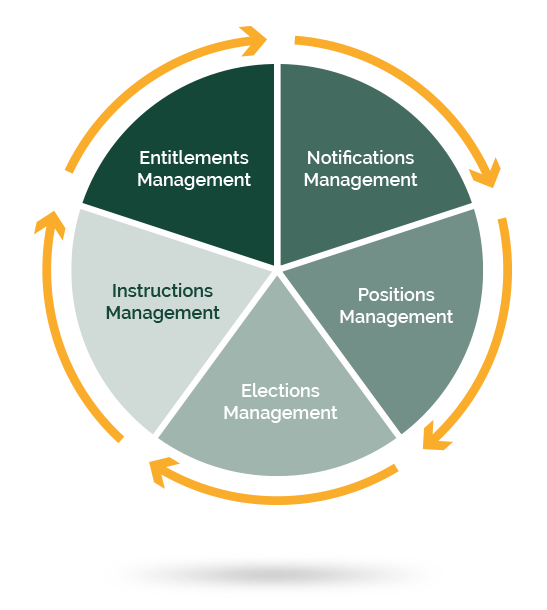 Positions Management is concerned with the capture of positions from internal systems which are reconciled against positions extracted from announcement notifications, in order to identify breaks between the two. Position related data is also captured from internal systems and used by iActs™ to identify those with a vested interest in the process. The Front Office are keen to assist in the processing of corporate actions. That's a fact! 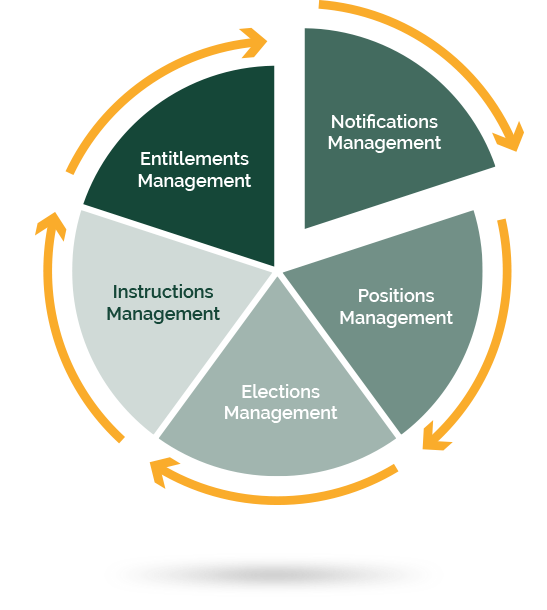 Elections Management, like all iActs™ components, can be delivered to augment existing solutions. 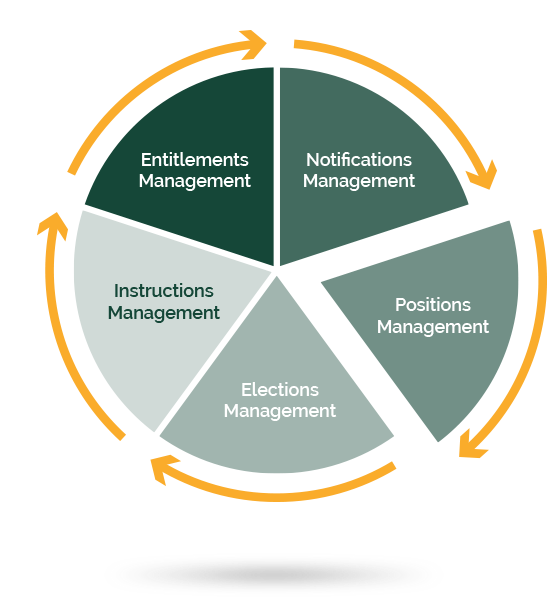 Elections Management was first delivered in this way with a dependence only on receiving a 'master' corporate action record, the associated positions data and account-related data. 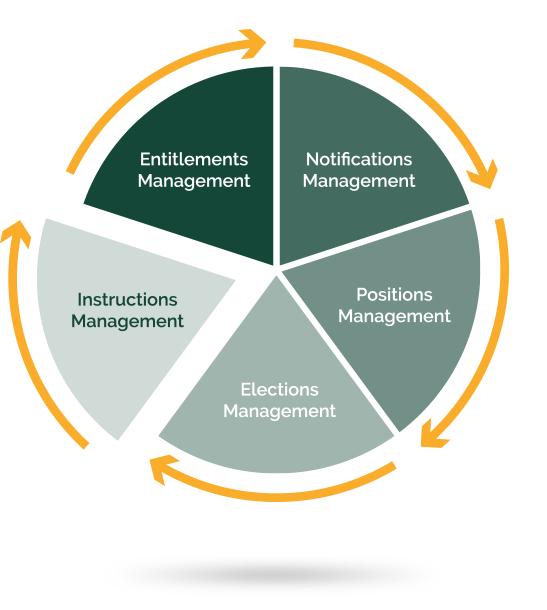 As well as bringing a number of benefits, such as transparency, to the Front Office, iActs™ Elections Management has, importantly, brought open engagement enabling portfolio managers, traders and analysts to take a direct hands-on processing role, thereby removing any risk of miscommunication between Front and Back offices. One of the biggest challenges in the corporate action process is ensuring counterparts, typically custodians, have acted according to the instructions sent. 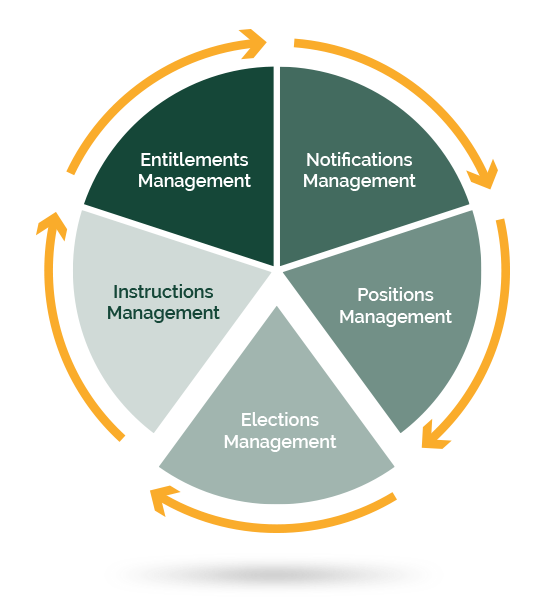 Instructions Management tracks all instructions, automatically capturing acknowledgements and advising users of any delivery failures. It also tracks the status of each instruction to ensure confirmation of action has been received, and again, alerting users when this does not occur. The last piece in the corporate action process, is the updating of internal records. This is covered by our entitlement calculation component which is geared to calculating and uploading corporate action out-turns to internal systems. If you would like to learn more about the iActs™ product suite we would love to hear from you.